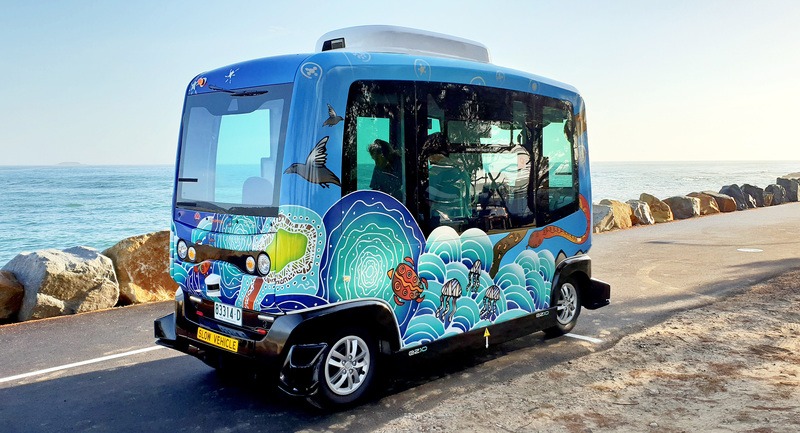 Australia’s first regional trial of an automated passenger vehicle is coming soon to Coffs Harbour’s Marian Grove Retirement Village! 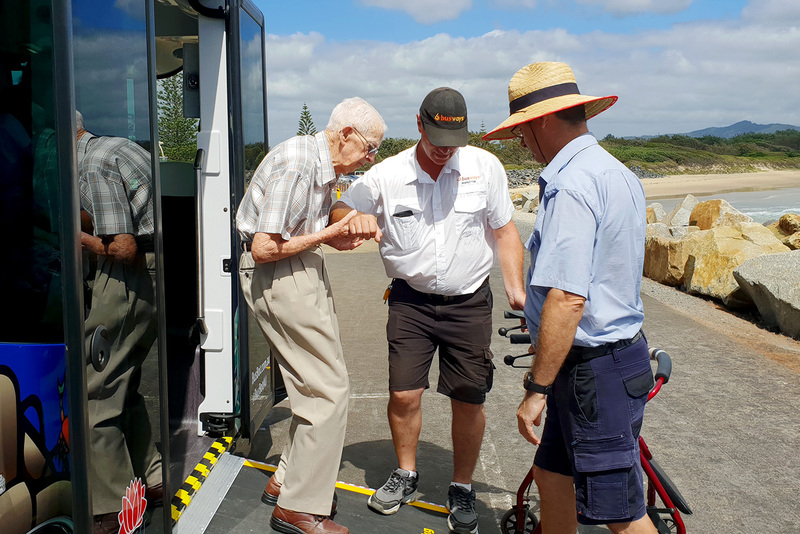 The Coffs Harbour BusBot Trial is an exciting opportunity to test the possibility for technology to revolutionise the way passenger transport services are designed and delivered in rural and regional communities. Automated vehicle technology has huge potential to improve the way we live and it’s important we give the community the opportunity to come on the journey as the technology develops. 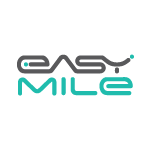 The trial is a NSW Government initiative, being led in partnership between Transport for NSW, local bus operator Busways, Coffs Harbour City Council and vehicle manufacturer EasyMile. 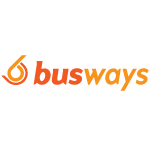 Explore this website for more information – and visit us on social media to share your thoughts and experiences with BusBot. Phase 1 at the Coffs Harbour Marina is now complete. The vehicle travelled along the Northern Breakwall to Muttonbird Island. 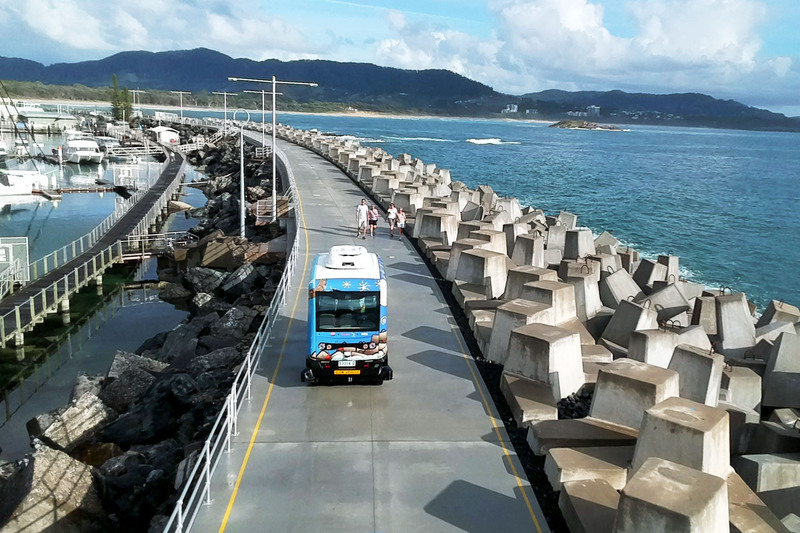 The Northern Breakwall offered an ideal testing location for our first phase due to it’s a high visibility and controlled environment for local residents and tourists who were able to experience the vehicle and participate in the trial. Phase 1 was a great success and we thank everyone for their participation. Phase 2 will operate in Marian Grove Independent Living Village to test a more complex environment and the ability of AVs to address various mobility needs. This location is ideal for phase 2 as a valuable test case for improving transport options for aged and less-mobile members of the community. Phase 2 is coming soon to Marian Grove Retirement Village, part of Sawtell Catholic Care of The Aged organisation. Phase 3 will operate along a 2.6km path from the CBD to the jetty precinct using existing bus stops to complement current bus services. This highly visible central location will provide a valuable testing environment for how automated vehicle technology benefits residents, visitors, businesses and supports the existing transport network. As BusBot is a trial, the service is free to use for all passengers. The services has standard operating times for each phase and does not require a booking to be made. Operating times will become available as the trial progresses through each phase. Phase 1 has now finished and we are preparing to enter Phase 2 at Marian Grove Retirement Village. Coffs Harbour is the first regional city in Australia to be home to the trial of an automated vehicle. 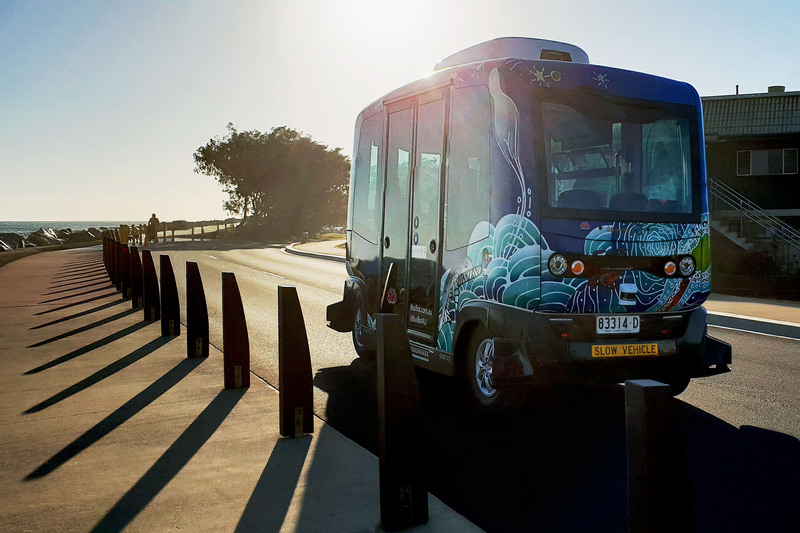 It’s only the second location in NSW to trial an automated vehicle, following the first which is currently operating in Sydney Olympic Park. The trial has three phases, each one teaching us more about automated vehicle technology and how it will benefit our local communities. The vehicle will be placed in more complex environments as the trial moves along, with strict safety milestones needing to be met before the trial progresses to each stage. 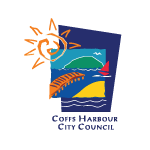 Coffs Harbour is demonstrating leadership in promoting transport innovation in regional centres. Local input into future planning of connected and automated vehicles will help to determine if automated vehicles are the answer to regional transport challenges. A range of community engagement activities and platforms will facilitate input from a broad spectrum of the local community and visitors to inform lessons on the role technology can play to improve parking, congestion, filling transport service gaps, linking key precincts and creating more vibrant local places. There are a number of Australian firsts the trial will introduce, including the integration of new technologies between the vehicle and infrastructure, testing On Demand technology, and the first trial to be held in a retirement village. This trial is a collaborative effort among a number of key partners and stakeholders. Click below to learn more about each partner.